An aesthetic and gracious flowery top has amazing designing for any occasion/bash. It has long sleeves, V neck and enticing embellishment work for generating a classy appeal. 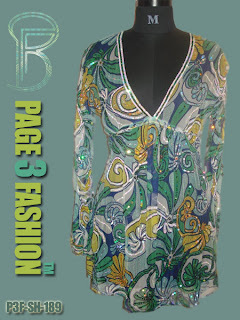 •	Finished with fine Viscose Chiffon fabric. •	Gracious and classy for any fulsome bash /party. •	Stunning designing and embellishment work. •	Well comfortable to wearer.